Apple has ended its legal fight to make bloggers reveal who leaked secret information about its new products. Legal action began in 2004 after details of an audio breakout box, code-named Asteroid, appeared online. Apple won the first round of the legal battle but the order to unmask the sources was over-turned on appeal. Now Apple has decided not to contest the appeal court ruling which gave net journalists the same protections as traditional media counterparts. 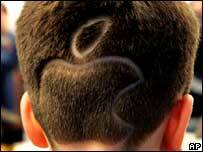 In 2004 Apple launched its fight to unmask the moles by filing a lawsuit against a company called NFox.com. This firm provided e-mail services to one of several Apple-watching blogs that published information about Asteroid and other forthcoming products. In the lawsuit Apple also tried to make the blogs, Apple Insider and Power Page, reveal their sources. Apple argued that the only way that someone could have passed on the information, which included detailed drawings, was by breaking a confidentiality agreement. Apple is famously tight-lipped about future products but is such an influential firm that many keep a close eye on what it is working on. In a legal decision handed down in December 2004, a Santa Clara Superior Court Judge sided with Apple and said that there was no legal protection for the bloggers who published the information. The case went to appeal and the 2004 decision was over-turned in May 2006 with the help of digital rights group the Electronic Frontier Foundation (EFF). The EFF argued that if Apple was successful the ability of all journalists to use information from confidential sources would be compromised. While the appeal court did not agree with the EFF on this point it said that online journalists and bloggers deserved the same protections as colleagues who publish in newspapers. Now the deadline for Apple to contest this appeal ruling has passed and legal papers filed by the computer maker suggest it will not pursue the matter any further. A separate trade secrets lawsuit that Apple filed against another site - Think Secret - has yet to be resolved. Is Apple feeling the heat?